Please note: this commentary, recovered on 8-Jan-2017, was originally published by the author, Tom Clark, on Science Dialogues on 28-Feb-2015. LIKE OTHER NATURALISTS OF HIS DAY, Darwin thought that when animals used their bodies in some ways and not others, doing this and not that, these activities affected the evolution of their kind. Insect wings and rodent eyes became larger or smaller, more useful or less, depending on their ancestors’ use or disuse of their wings and eyes. Unlike his peers, Darwin imagined animal behavior influencing evolution without Lamarckian inheritance of acquired characteristics. His most important discovery, natural selection, allowed him an alternative. Instead of direct transmission, from one generation to the next, of changes brought about by an animal’s activity within its lifetime, Darwin saw that such activity affects both how animals grow into adults—variation—and how natural selection plays out. And by way of long continued selection outcomes, characteristics expressed while growing up—specific variants—can become, somehow, more likely to develop in later generations. Hence, evolution. 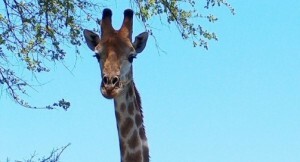 Stretching to browse on trees did not cause giraffe ancestors to have offspring with longer necks. Rather, giraffe ancestors’ browsing habits swayed selection so giraffes that grew longer necks tended to have more offspring. Growing up mattered. Darwin observed variation among whole animals through their lifetimes, not variation among genes. Anything that made a growing child “not absolutely similar to the parent” was a source of variation that could make a difference in selection processes and outcomes (Darwin 1857). Darwin’s view was developmental, not Lamarckian. Darwin understood that separating variation and selection was tidier in theory than in actual lives-in-progress. He took up his discussion of use and disuse in a chapter called “Laws of Variation” with a subheading “Use and disuse, combined with natural selection” (Darwin 1859: 131, italics added). What animals did with whom was a central and natural aspect of selection, as well as a source of variation. Animal behavior comprised and induced variation that was grist for selection and also part of the mill. The wingless condition of so many Madeira beetles is mainly due to the action of natural selection, but combined probably with disuse. The eyes of some burrowing rodents are rudimentary in size… probably due to gradual reduction from disuse, but aided perhaps by natural selection . . . natural selection would constantly aid the effects of disuse. On the whole, I think we may conclude that habit, use, and disuse, have, in some cases, played a considerable part in the modification . . . of various organs; but that the effects of use and disuse have often been largely combined with, and sometimes overmastered by, the natural selection of innate differences. Animals were protagonists in Darwin’s evolutionary plots. Theirs was an unwitting participation, animal intentions being of evolution, not about evolution. Still, animals’ semi-autonomous activities affected the evolution of their own kind and of others who came to their attention. Darwin saw, for example, that arbitrary “aesthetic” preferences of pollinating insects—going to these flowers more than those—affected selection of the flowers and of the insect’s nose, used to reach that flower’s nectar. Darwin concerned himself with mechanisms of biological inheritance but had limited evidence to go on. Mendel published his experiments on plant hybridization in 1865 but with just three citations in 35 years, they never came to Darwin’s attention. Though he eventually proposed a Lamarckian mechanism of inheritance in his “provisional” hypothesis of pangenesis, Darwin continued to view the role of animal behavior in evolution as more developmental than Lamarckian. Animal activity naturally “either checked or favored” selection (1868: 234). His developmental view of evolution endured August Weismann discerning a “barrier” between somatic and germ cells. Weismann’s famous barrier, allowing transmission of only germ cells to the next generation, was the death knell for Lamarckism. Yet Weismann affirmed Darwin’s view that “use and disuse” affected evolution by way of natural selection.
. . . the direct influence of increased use during the course of a single life [cannot] produce hereditary effects without the assistance of natural selection (1889: 91). And with the assistance of natural selection, it can.
. . . the use and disuse of parts can have no direct share in the process. . . . The fact, however, that we deny the transmission of the effects of use and disuse, does not imply that these factors are of no importance. . . . both use and disuse may lead indirectly to variations . . . [that change selection processes and outcomes] (Weismann 1893: 395–396). Darwin’s developmental view fell to the margins of evolutionary thought with the rediscovery of Mendel’s experiments that began the 20th century and initiated its turn toward a molecular gaze. In an historic cultural shift dubbed “bath-waterism” (Ewer 1960: 162), evolutionary thought threw out, along with the bath water of Lamarckism, the whole organism as an agent of evolutionary change. Evolutionary science transformed our image of ourselves from protagonists in the story of life to products of natural laws and chance, from the result of ancestors’ doings to the result of chemical happenings. Our story changed from processes of selection that naturally had the benefit of vision and other senses and capabilities for the past 600 million years to “blind” selection the whole way; from an understanding that manners maketh the man, and action maketh the organism, to an understanding that tiny entities inside us make us who we are; from a story at the scale of organisms and lifetimes to a story about molecules across eons; from a story that includes growing up to a story that moves from one adult generation to the next by incantations of genes, environments and their so-called “interactions” (genes, of course, interact only with intra-cellular environments); from plot without humans to humans without plot; from a story teeming with human agency and meaning to a story of eggs regarding chickens as merely a way to make more eggs; from a story that tells us of life’s expanding autonomy, so what we do matters, to a story that tells us choice is a comforting illusion so we have no say in the course nature takes. Among the ideas slanting these images of ourselves has been a misreading of Darwin’s use of use and disuse as simply Lamarckian. Darwin, C. (1857). Letter to Asa Gray, 5 Sept. http://www.darwinproject.ac.uk/entry-2136. Darwin C. (1859). On the Origin of Species. In J. van Wyhe, ed., (2002), The Complete Work of Charles Darwin Online (http://darwin-online.org.uk). Darwin, C. (1868). Variation of Animals and Plants under Domestication. In J. van Wyhe, ed., (2002), The Complete Work of Charles Darwin Online (http://darwin-online.org.uk). Ewer, R. F. 1960 Natural selection and neoteny. Acta Biotheoretica13:161-184. Weismann, A. (1889). Essays Upon Heredity. Oxford: Clarendon Press. Weismann, A. (1893). The Germ Plasm. New York: Scribner.